Remote gates are more popular than ever. You can enclose your backyard to protect your vehicles from break-ins or let the kids play on the driveway without worrying about predators or fast cars screeching down the alley. Remote gates are following the same path as other new technologies. In the past few years, they have become less expensive and more reliable and durable. 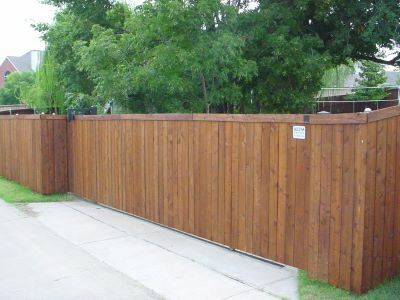 Whether you pick an iron gate or the more popular cedar board-on-board to match your new fence, you will be amazed at the amount of yard space you gain and the extra protection you will feel. Because remote gates have become so popular, there has been a corresponding explosion of inferior products being introduced. Of course, a cheap price does not mean a better deal. Call the professionals at Duck Fence & Deck.